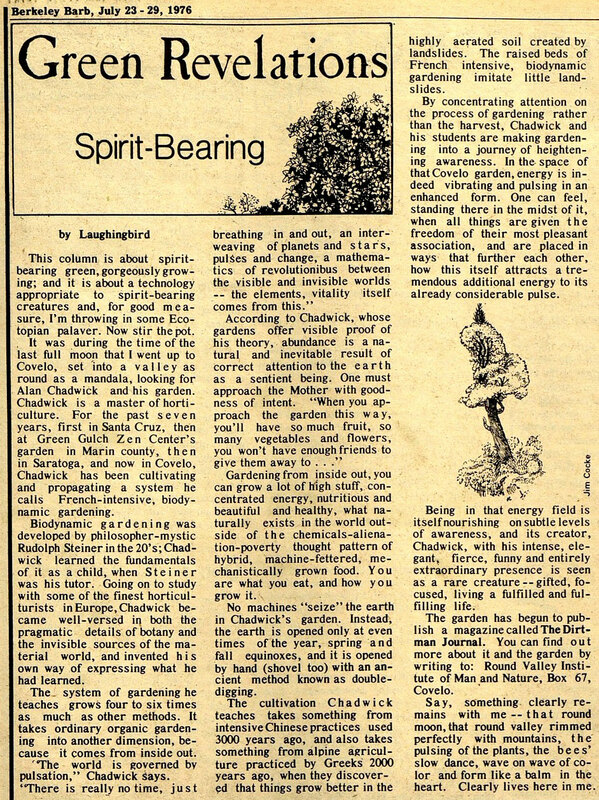 Laughingbird is the pen name of the author who wrote several articles about Alan Chadwick and his gardens that were published in the year 1976. Two appeared in the Berkeley Barb, and one in the New Age Journal. 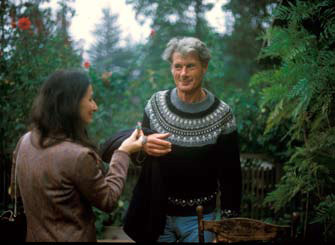 All three are eloquent expressions of the feelings that many people experienced when they encountered Chadwick and his horticultural creations during that epoch.